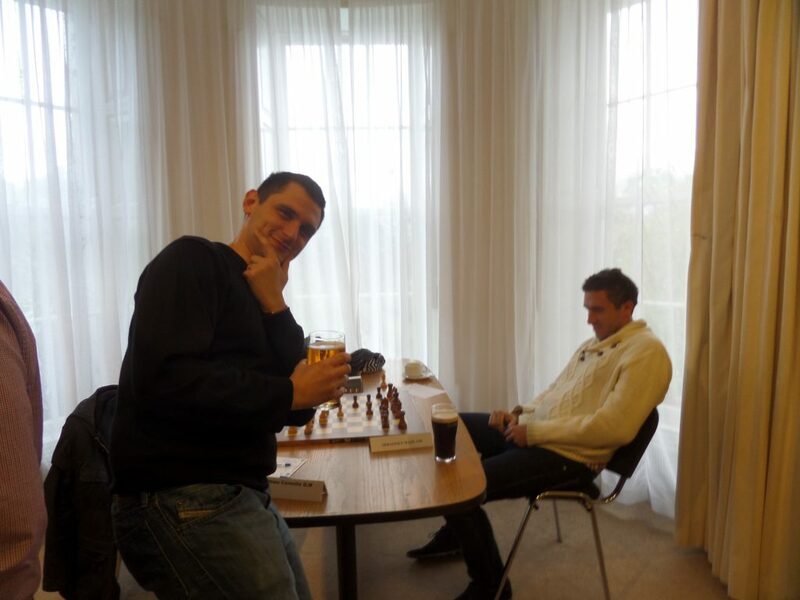 For me, the chess didn’t go so well and I started on 0/2. In the past I’ve kind of given up on getting a score and just had a disaster of a tournament. It didn’t help that this was a very strong field and I was seeded near the bottom! Luckily I managed to win a game and take a half point bye so I could watch the rugby :-). 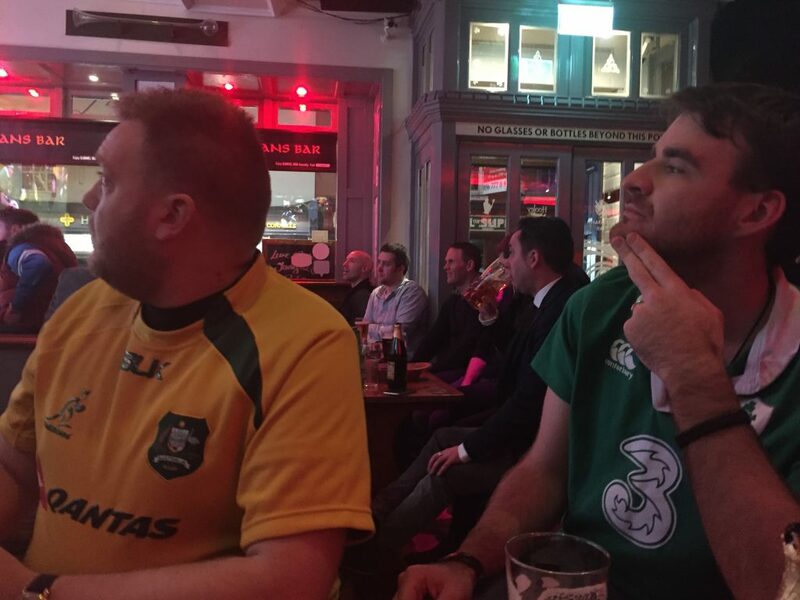 It was nice seeing Ireland beat Australia and then of course watching the All Blacks win against France. The only two players wearing Irish jerseys were French and English! Ga’s tournament didn’t go so well and in the final round he was paired against GM Mickey Adams (seeds 1 & 2 played each other on board 3!) he lost that game and ended up on a score of 3.5 and me on 3 after a quick last round draw thanks to my opponent wanting to score some points against our family! Ga’s lovely mum, Tanya, also played in the Challengers. 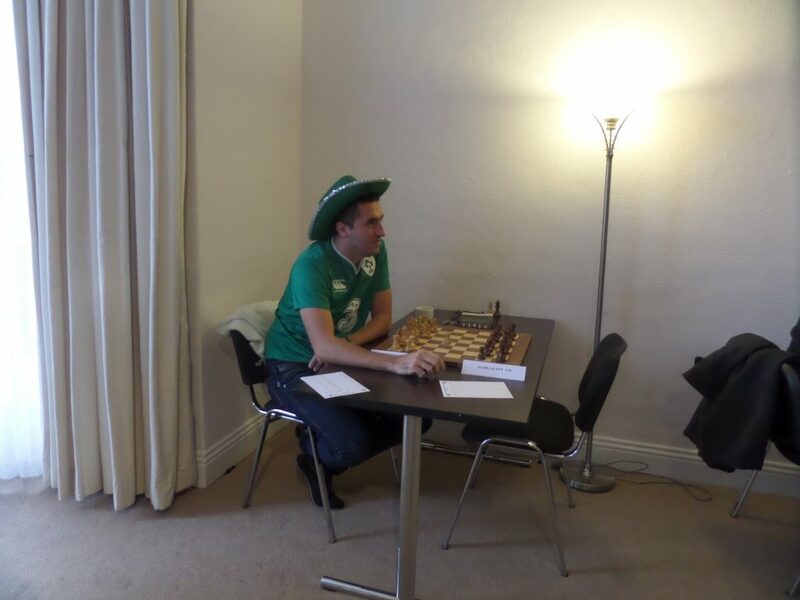 The Kilkenny Blitz is such a fun event, with an open bar and lots of strong GMs playing. I was placed in a group with GM Mark Hebden and IA Gerry Graham and I managed to qualify after beating up all the young kids. Ga managed to get through his group stage after a lost position against WFM Hannah Lowry O’Reilly and losing against IM Mark Quinn. He finally beat GM Mark Hebden, GM Mickey Adams and in the final beat GM Matthieu Cornette. You can read a more informative report by Gerry Graham here . For some reason I can’t find the crosstable but if I do I’ll add it. Overall it was a fun but long weekend and after an hour delay waiting for a train we made it home. I donated blood on Wednesday and then fainted while we were in town so I’m sorry for the delay in this update! I feel much better today after sleeping for most of yesterday. We will head to London next week (yay I’m so excited!) for Ga to play in the British Knockout Tournament, this tournament happened last year and Ga lost in the semi finals to GM David Howell. It was all a very busy schedule and they played all their semi final games in one day! I’ll be playing in the Super Rapidplay (which I’ve just entered) – don’t forget to enter before Friday 16th December if you qualify for free entry!